Use 17th Avenue. 15th Ave may be closed or turned into a one way. This is a one time situation due to construction and NDSU student move in. 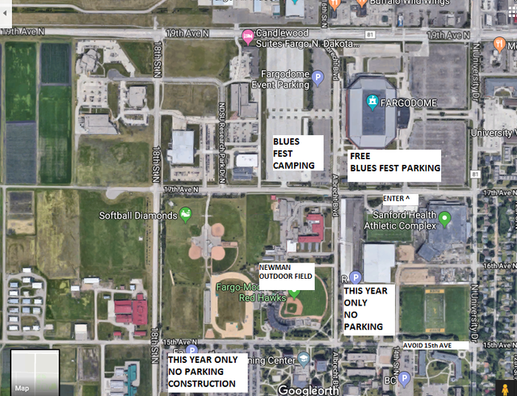 The Blues Fest is typically in late July but was moved to August due to the Fargo Air Show.